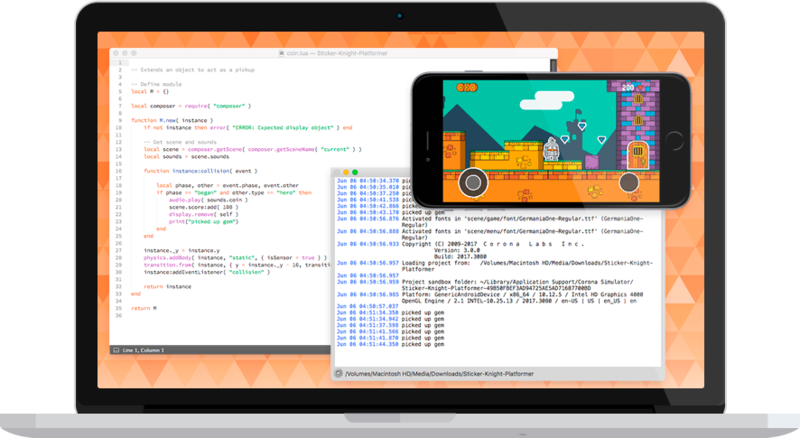 Game making tools allow anyone to create a prototype or even a full-on game without writing a single line of code. They mostly depend on drag and drop frameworks, allowing you to build your game and release it as fast as possible. With ease of use comes limitations. Even though most of these tools allow you to go beyond drag and drop and manipulate the code, you’re still limited by how much control you have over the game. This may be great for quick, simple games by newbies and amateurs, but wouldn’t suit large projects and corporates. Below are the top game making tools to choose from based on your needs. 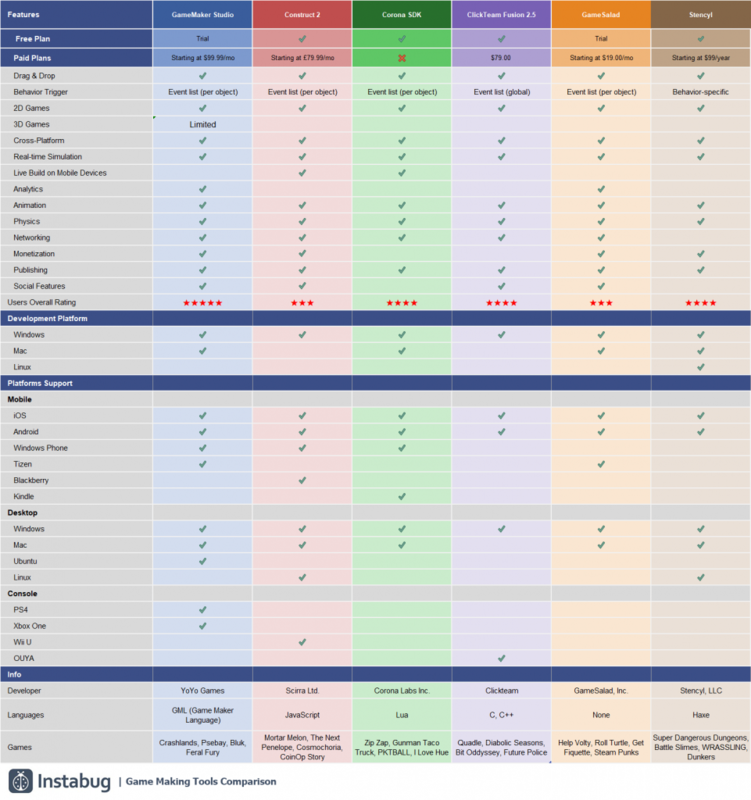 Please note that this is a comparison only for simple drag and drop game making tools and doesn’t include heavy game engines or any other game development tools (graphics, audio, etc.). For a complete game development tools list, you can check out our Must-Have Mobile Game Development Tools In 2017. 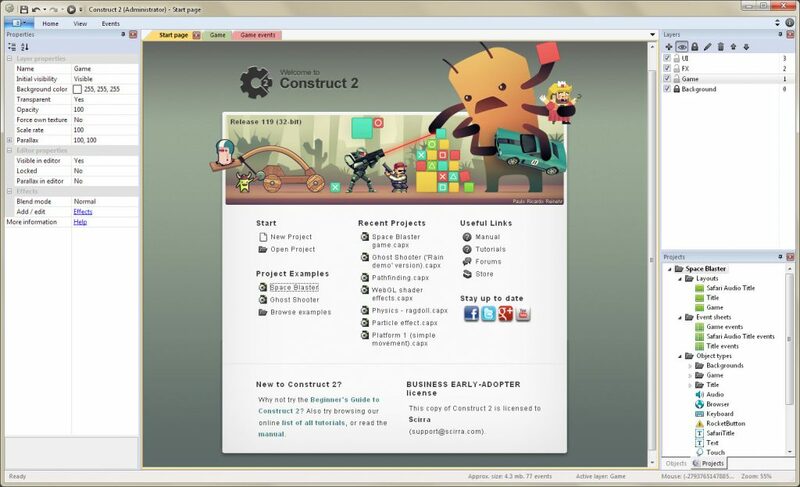 GameMaker allows you to build games from start to finish using their drag and drop interface. It has everything you need to take your idea from concept to finished game. 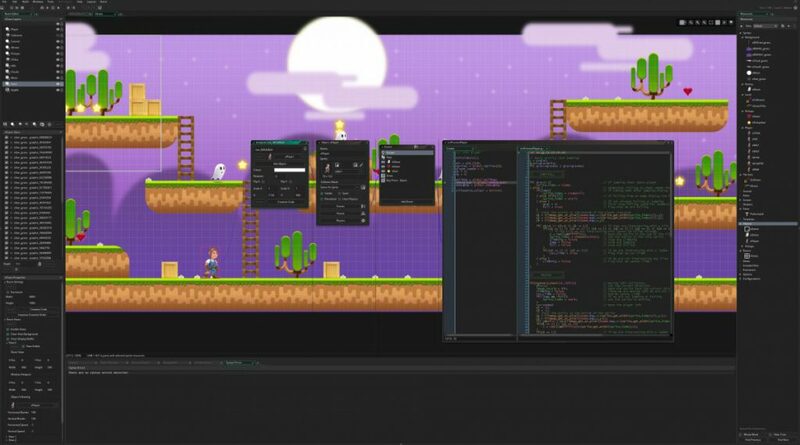 For more advanced indie developers, GameMaker offers its own language which is similar to C, allowing you to go beyond drag and drop and have more control over your game. GameMaker helps you easily learn the language as you go. However, it’s only good for 2D games and trying to create a 3D game using GameMaker would be very inconvenient. 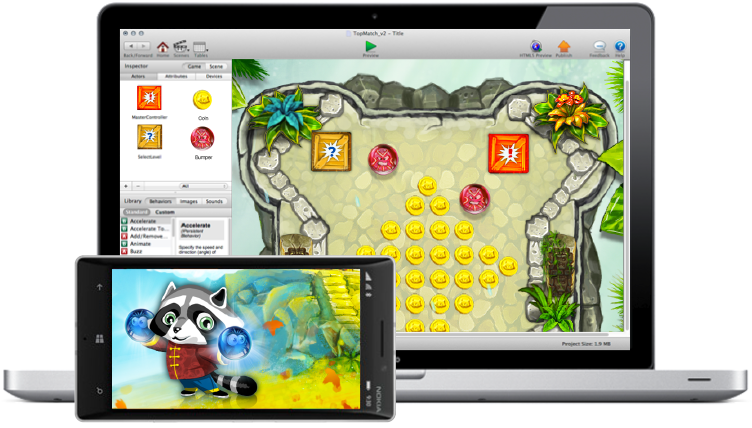 An HTML5 game creator with no coding or game development knowledge required. It has a powerful event system where you can make your game do what it needs to do in a visual and human readable way. It features a lot of flexible, pre-set behaviors and effects that can be great time savers and can be customized based on need. You can also preview and test your games instantly without having to wait for it to compile or build. Clickteam Fusion 2.5 allows you to quickly create 2D games, providing you with a wide range of extension objects to accomplish any type of programming challenge you can think of. 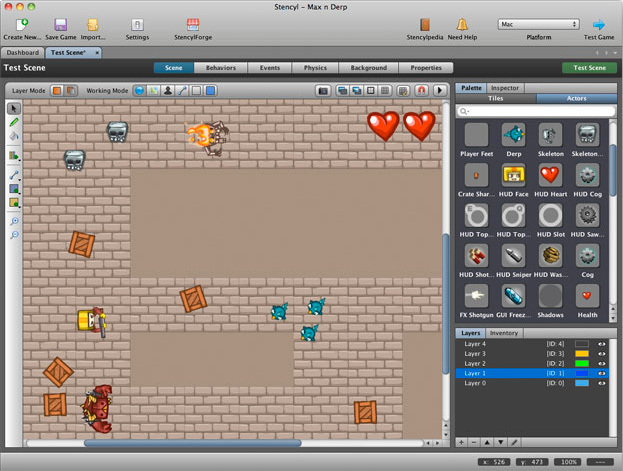 It offers a visual editor where you can place and position all of the elements of your game or application including the characters, counters, strings of text, and more, using your mouse. Then you can set up the properties for each of your objects by clicking on check boxes or selecting choices from drop down menus. Pricing: Free. Paid plan at €79.00. Extra bundles and DLC available at separate costs. 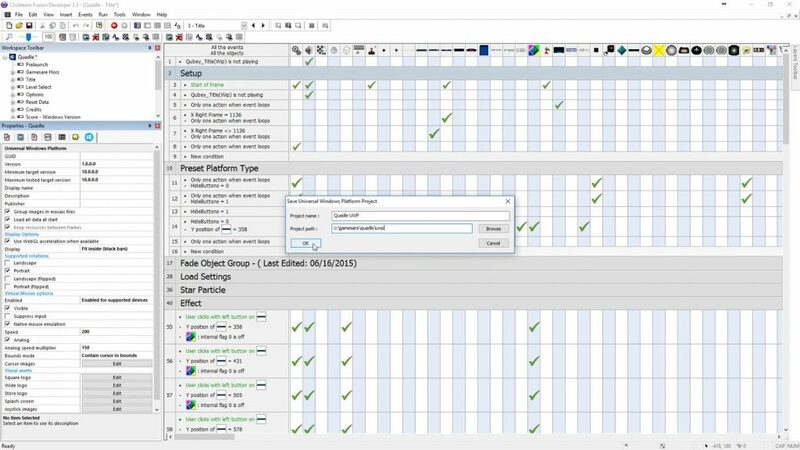 GameSalad is another easy drag and drop tool with a huge behavior library and a fully integrated physics engine and many other features that lets you create games effortlessly. It also offers monetization, publishing, and social features with its paid plans. It allows you to easily charge players for playing levels, removing ads, offering cosmetic enhancements, performance boosters or whatever works best for your style of game. You can also convert your game into various formats and publish it on multiple platforms instantly. Pricing: Free trial. Paid plans start at $19/month. Stencyl offers an interface similar to graphics editors like Photoshop that is very easy to use and get accustomed to immediately. It includes many familiar features, such as a selection tool, zooming, grid-snapping and flood fill, which will help you quickly craft complex worlds out of actors, tiles, and terrain. Pricing: Free. Paid plans start at $99 per year.